The Reepham Society elected a new executive committee and officers at a Special General Meeting on 4 June. The meeting was called after the Annual General Meeting in May failed to vote in new executive officers and faced being wound up under Charity Commission rules. Mike Cowdrey was elected chairman of the Society, Jan Henry as vice chair and Jo Tym as secretary, while Ian Boldero will continue as treasurer. Nichola Johnson, who chaired the SGM, Ann Middlemas and Kevin Penney were also elected as committee members. 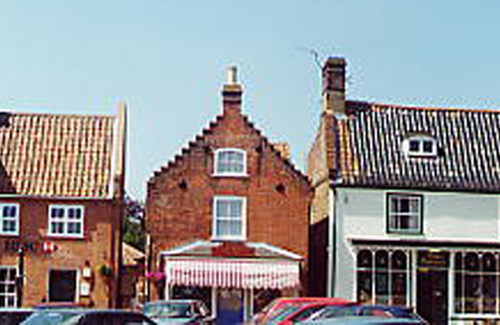 The Reepham Society was founded more than 30 years ago to protect, research and present the town’s heritage. Mr Cowdrey, who is also a Town Councillor, said: “I’m very privileged to have been elected as chairman of the Reepham Society and very reassured by having such an outstanding committee to work with. "I’m also grateful to the previous chairmen and committees for the extraordinary foundation in understanding and promoting Reepham’s heritage that they have laid down to the benefit not just of Society members but of all residents of our town. "Ross Ingham, one of the expert consultants driving the Reepham Economic Strategy study, believes that the achievements of the Society have been truly remarkable. “I‘d like the Society to continue to reach out to everyone in Reepham; to those who were born and bred here and have a story to tell, and to newcomers like me who have much to learn. “We’re all of us woven into the fabric of this special town and the more we know about its heritage the more we’ll all share a common sense of belonging and pride. “The Society’s role in our community is vital because an understanding of the past helps explain where we are now and can guide us in the future. “I’d encourage anyone who cares about our town to join the Society or, even if they don’t become members, to come along to the regular talks by excellent speakers and learn a bit more about where we live.